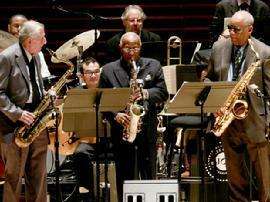 Tony Williams is a legendary alto saxophonist who truly represents "The Sound Of Philadelphia". Born and raised as a child in Chattanooga, Tennessee, Tony soon made it up north where he grew up outside of Philadelphia in Crestmont, Pennsylvania. 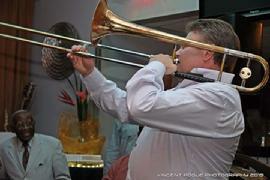 He grew up playing the horn as a youngster and soon found his love with the music. He played in school bands in high school (Abington High School) and later went to college at Tennessee A & I (presently known as Tennessee State University); played with their band and also was an outstanding sprinter on their track team. He transfered to Central State University in Ohio and hooked up with music and athletic opportunities there. After graduating from Central State he spent time in the military as he found the way to also play in the 75th Army Band at Ft. Belvoir, Virginia. Tony is a true educator as well as a great musician. 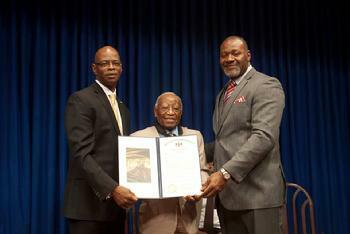 He taught in the Philadelphia School System for over 25 years and retired after period teaching health & physical education, coaching and being a vice principal. Music was always in Tony's blood, schedule and lifestyle. 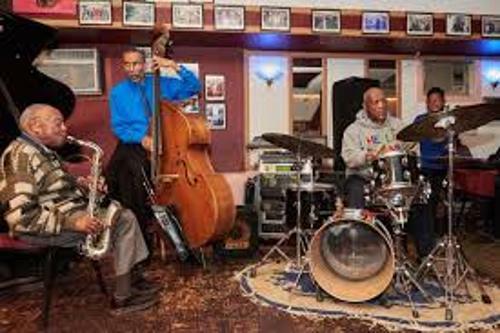 Tony Williams found a way to teach, coach, administrate and perform music professionally in the Philadelphia area as well as on the road nationally and internationally while teaching for over 20 years at Barrett Junior High School in South Philadelphia. Tony had many opportunities to travel and play music full time on the road but Tony had a passion and love for his wife, Gloria and 3 children. Tony's family has been a strong part of the backbone and support of his music. Gloria has to be considered Tony's biggest supporter. Greg (Tony's oldest son) is the owner of BDG Records which is heavily involved in Tony's promotions. 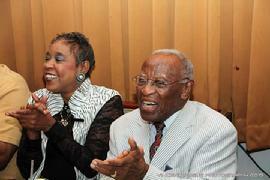 Antoinette (Tony's daughter) played a solid part behind the scenes in Tony's productions and engagements. 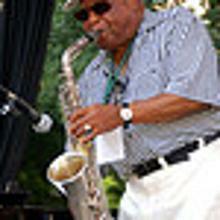 Glenn (Tony's youngest son) is a gifted and talented saxophonist, pianist and recording artist. 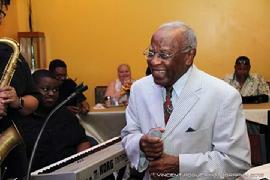 Tony also had a passion to "keep jazz alive" so it was not enough for Tony just to be a professional musician. He had to give back and he did that in a way that can not be matched by many. 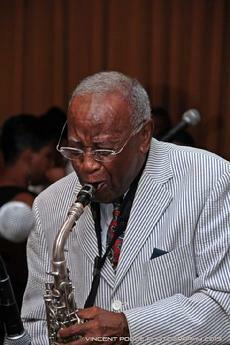 Tony Williams started a jazz theory and music program in his school; Ada H. Lewis Middle School Jazz Band. 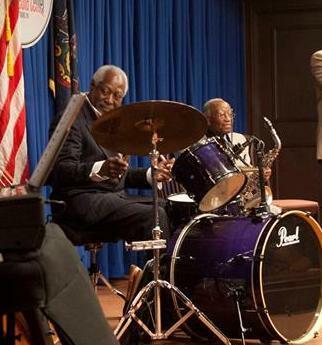 Not long after, he started his own jazz theory and music program that is now known as the Mount Airy Cultural Center, Inc. which he is the founder and director. 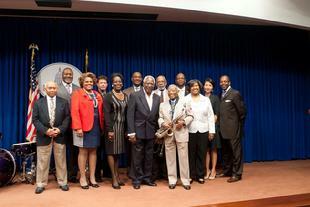 Link on to www.maccjazz.org to get more information about the Mount Airy Cultural Center, Inc. 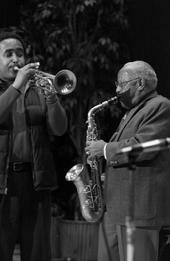 There are well known musicians that came from those two programs that Tony Williams mentored and influenced. 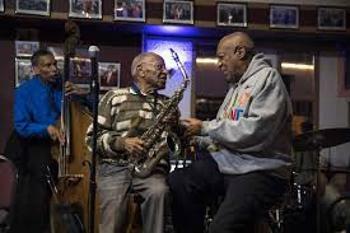 Some of them include James Lloyd, Curtis Harmon, Cedric Napolean (all from Pieces Of A Dream); Glenn Williams, Mark Mitchell, Joey DeFrancesco, Mark Henry, Leon Jordan, Leon Jordan, Jr., Duane Eubanks, Derrick Bush, Daryl Hall, Christian McBride, Pamela Williams and his son Glenn Williams just to name a few. Throughout the years, Tony and the Mount Airy Cultural Center has received a great amount of support from many volunteers and some of the surrounding areas finest musicians. Some of them include Sonny Hoxter, Tommy Grice, Joe Stevenson, Wesley Norton, Dr. Val Jennings, Don Wilson, Mark Mitchell, Mike Boone, Don "Doc" Colloins, Craig McIver, Stan Wilson and Leon Jordan. Link on to the link as you will see Tony Williams introducing Martin Luther King as he presented his great "What Is Your Life's Blueprint". 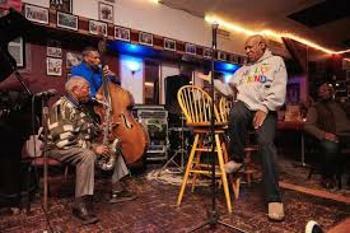 Tony Williams became a household name in the Philly area in the 60's as he played in the major jazz hot spots. 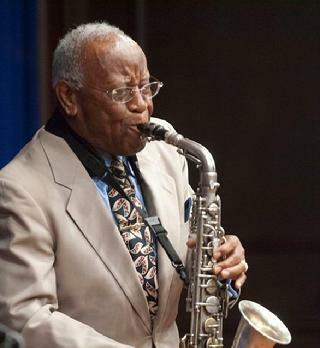 He was in high demand to be the featured saxophonist in many bands. He connected with Kenny Gamble and Leon Huff of Philadelphia International Records in the early 70's as he is featured on sax and flute on many of the Philly International's hits with MFSB, Billy Paul, Blue Magic, Intruders, Harold Melvin & The Blue Notes and the O'Jays. 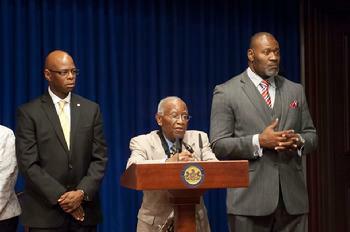 Claude Williams, Don Wilson and Phil Wright. Tony has been blessed to have some of the world's greatest jazz musicians as a part of his ensemble. The musicians that have primarily works as a part of the Tony Williams Quartet are Dave Posmontier, Aaron Graves, Mike Boone, Lee Smith, Craig McIver and Rob Henderson. 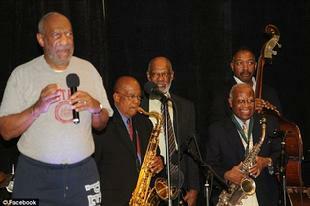 Tony also was a part of the Bill Cosby band on his TV show. 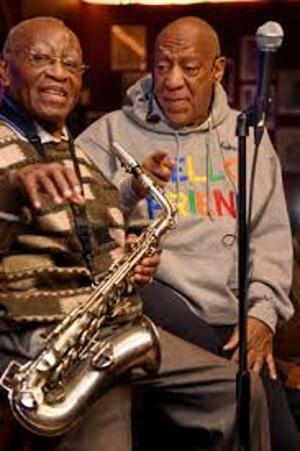 He and Bill Cosby have stayed very close throughout the years as Bill Cosby performs annually as a part of the Tony Williams Scholarship Jazz Festival with the Bill Cosby Reunion Band. 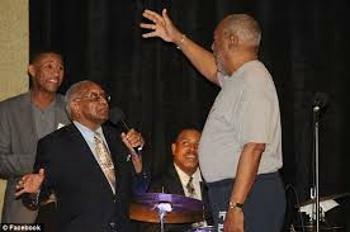 Tony had the honor of re-uniting with the Bill Cosby Reunion Band in April (2010) at the Kimmel Center in Philadelphia as Bill Cosby was honored as the recipient of the Marion Anderson Award. 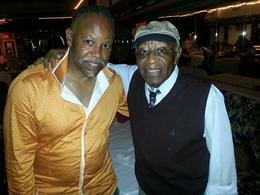 to see the article about the Gala and a picture of Tony Williams with the reunion band. 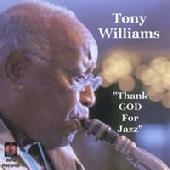 Tony Williams has a recording career of his own as he has produced 2 signature albums of his own; "Thank GOD For Jazz" and "Homecoming". 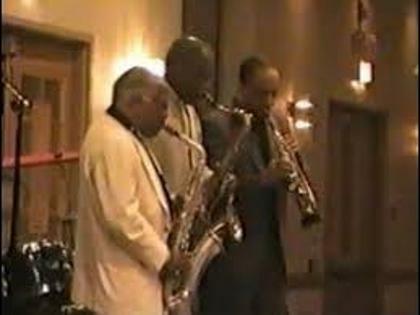 Thank GOD For Jazz is a classic that includes some classic spirituals, jazz and patriotic standards, blues and originals. "Thank GOD For Jazz" which is on the BDG Records label. Tony has also been promoted and represented by BDG as he is on 3 other BDG CD's; "AIDS Benefit Jazz", "All The Way Live", "The Best Of BDG". Tony has traveled and toured throughout the U.S. and abroad. 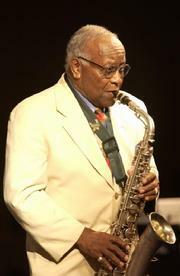 He has performed with many of the jazz greats in so many different musical events and jazz festivals. 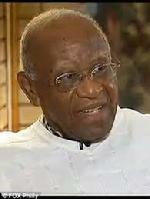 Internationally, Tony has performed on tour in Germany, Canada, Japan, Jamaica and the Virgin Islands. 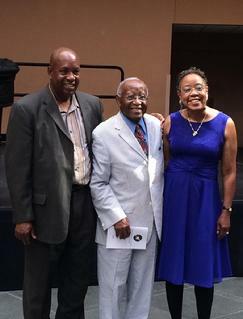 National Association Of University Women, Inc.
Tony Williams Scholarship Jazz Festival. 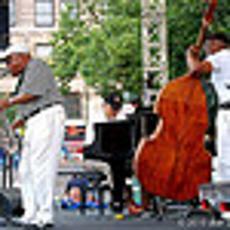 This annual 4 day festival is one of the more popular jazz events that takes place every Labor Day weekend. - article about Tony Williams "Old Faithful"
- You Tube video of a 5 year old drummer "Jordan"
(playing with Tony at the 1999 Tony Williams Jazz Festival). He is now a renowned adult jazz drummer in his 20's. - You Tube live recording of Jim Martinez CD "Praise HIM With Jazz"
"Trumpet Chicks" at the 2013 Tony Williams Scholarship Jazz Festival. 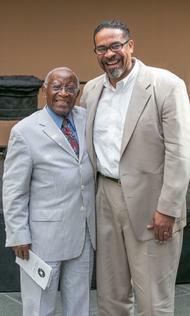 of the 2013 Tony Williams Scholarship Jazz Fest. 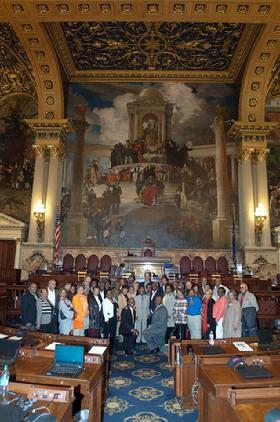 Pastor "D" & Tony Williams Tony Williams & Pastor "D"
at the Pennsylvania State Capitol. was the Ovations Award winner. and beautifying "Precious Lord" !!! is an annual event that occured for 24 years. 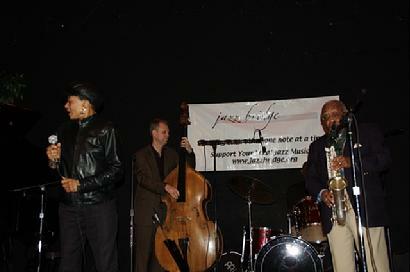 This jazz festival brought in some of the finest jazz musicians from all over the world. 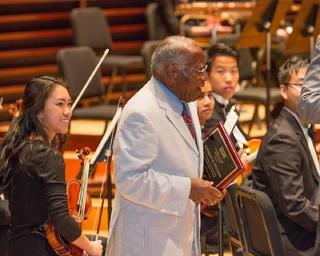 It was a venue to highlight some of Philadelphia's renowned and well known musicians. 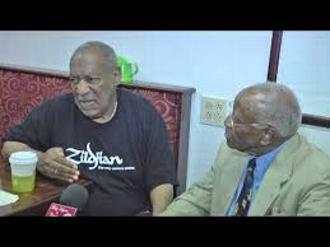 "Was Always About The Kids"
Council Of Jazz Advocates and BDG Enterprises. Mount Airy Cultural Center, Inc. 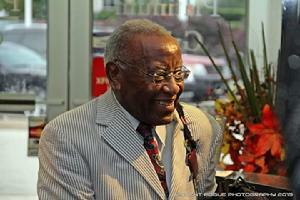 The Mount Airy Cultural Center, Inc.
Tony Williams spearheaded, founded and led. inner soul, intellect and creativity through music. 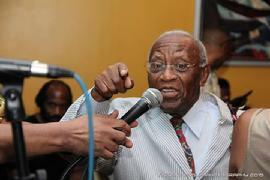 is all about the young people." 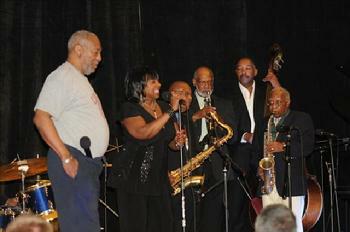 www.maccjazz.org - Mount Airy Cultural Center, Inc.